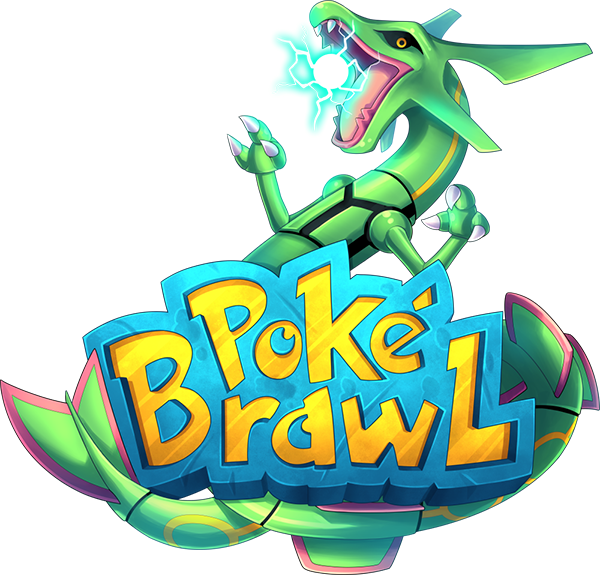 Home - PokeBrawl - Enjin - MEGA Update + 40% Sale! MEGA Update + 40% Sale! Hello everyone, I’ve been hard at work for the last few weeks preparing this fantastic update and I’m very excited to finally release it for you all! There are quite a few changes in this one, so get ready! Participate in a wide variety of custom coded events, coded by yours truly, hosted multiple times a day by our lovely staff team! Each event session will consist of three rounds, so there will be plenty of opportunities to prove yourself. The winner of each round will be rewarded with an Event key and the added satisfaction of beating your fellow trainers! Additionally view the last time an event has been hosted with /lasthosted and if it’s been awhile, politely ask your nearest staff member for a host :) Here is a quick overview of each of the new events. Spleef - a Minecraft classic, break blocks below other players while also dodging attacks from others! Last man standing wins! Parkour - everyone’s favorite, be the first to successfully traverse one of twenty possible challenging courses, but watch out for others; player collision is enabled! TNT Run - parkour but with a twist, stay alive for as long as possible using your 1337 parkour skills while the arena quickly shrinks! Color Party - each round you must stand on the chosen color before the timer runs out. Each round the timer is reduced slightly, so act quickly! Bounce - every block you touch in this arena launches you high into the air. Precisely calculate your movements in order to be the last one remaining! Aircore - another flavor of parkour, this time with a vertical element; first to the top wins! Unlock varying tiers of special “Titles” in crates and the the donor store which can be customized and displayed before your username in chat. Express yourself to the entire server with our wide selection of Emotes, available with the /emotes command. Unlock them in crates and the donor store. Instead of completely enabling rain we have implemented a system where Champions+ may now start a vote for either Sunny, Rainy, or Stormy weather with /wv start [weather]. If half or more of the votes are in approval, the server will then switch to the voted upon weather condition for 10 minutes. Starting the vote costs $1000 in-game money and may only be called on the server once per hour. Show off your lightning fast reaction skills by being the first to click on a certain character in chat! This mini-event happens around once an hour and rewards the winner with an Event key! Good luck! Since so much was added, the prices of the top three ranks will be slightly increasing in a week. If you’ve been considering upgrading, now’s the time! Spawn has been revamped and is now much more aesthetically pleasing! A brand new set of much higher quality Gyms is nearly complete thanks to @Dasscamper! Stay tuned! Lastly to celebrate this juicy update, we will be launching a 40% sale for the next couple days! Get that rank you’ve been wanting now while it’s cheap! I hope you all enjoy, we will be listening to feedback and making any adjustments/fixes wherever necessary. How do I install pixelmon generations 2.0.3?? Hey guys i need help with getting on the pokemon thing can someone help me please? So please be patient with us as we figure out what is going on. Message to Everyone: We will be working on fixing the server and figuring out what is going on. We apologize to anyone and everyone that has been waiting to come onto the server. We do not want to keep you from playing. We are working on a fix. why does no1 use this thing?